A well-known modern photographer and teacher Laura Letinsky films still lifes. The only thing that prevents ordinary viewers from happily rejoicing at its beautiful images is that the food in these photographs is underfed. Today, under the heading “Photography”, we’ll figure out why to shoot such still lifes and who’s undernourished on Laura Letinsky’s still life? 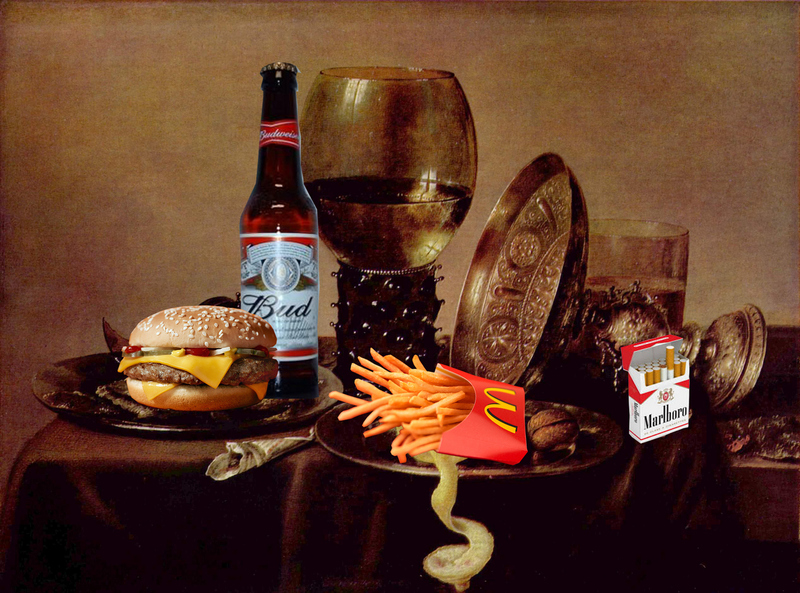 All of you, of course, are familiar with the Dutch still life of the 17th century. You remember how everything is there – an abundance of products, like in the supermarket “ABC of Taste”, it all lies beautifully and, if properly hung on the wall, it certainly demonstrates the well-being of its owner. Everything is simple and understandable. It was not possible then to come to the talks on the driver and the gold watch. And he hung a still life on the wall: everyone understands everything at once – a secured person. Now everything is different, and now it is strange to shoot a still life, to demonstrate its well-being. Therefore, modern artists and shoot still life for another – to explore the themes that are exciting them now. Laura Letinsky is interested in the topic of withering. What remains when something ceases to be necessary? How we look at things, how we see things that go beyond the possibility of consumption. It can be said that not even the things themselves are being investigated, but the “awkward” situation itself into which things fall in our modern society. You know, still life is an image of a dead nature. What you see in Laura Letinsky’s photographs is a super-still life, products that cease to be so. Finally died still life, retained its form, but lost its original meaning. It should be noted that all this staged photography, shot on a large format camera. That is, all these small chalks of the detail in the pictures are neatly arranged by attentive Laura, each in its place. Before us is a beautiful revised still life, exploring what’s left after it’s over. And still in these still lifes frozen stories of personal relationships, which the attentive viewer can read and imagine, who is not enough food in the photographs of Laura Letinsky! And now the question: Do you think that scraps can be considered art? Write your opinion in the comments.